"She closed her eyes and saw, as if on a loop, a repeating backdrop of square windows, blue sky and concrete spinning and passing, passing, passing. She could not escape the horror of it: falling unstoppably, irretrievably until the hard concrete reaches up. That last glimpse of them at the edge. 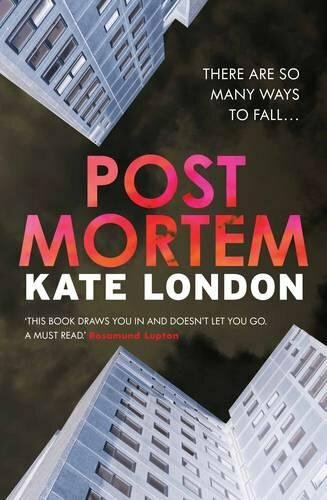 A long-serving beat cop in the Met and a teenage girl fall to their deaths from a tower block in London's East End. Left alive on the roof are a five year old boy and rookie police officer Lizzie Griffiths. Within hours, Lizzie Griffiths has disappeared, and DPS officer Sarah Collins sets out to uncover the truth around the grisly deaths, in an investigation which takes her into the dark heart of policing in London. Grounded in the terrifying realities of policing a city where the affluent middle-classes live cheek-by-jowl with the poorest immigrants, this is a complex, intelligent, thrilling crime novel by an author who has walked the beat."